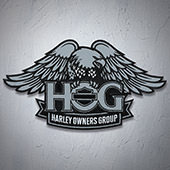 Calling all Fraser Valley HOG Members. We'll start the morning with a catered breakfast from Cookie's Grill. Then we'll have our regular monthly meeting. This will also be the time to register your starting odometer for HOG Mileage Awards. Parking Lot skills and/or ride may be planned. See Fraser Valley HOG chapter facebook group for more details.